I’m recently back from a large tech conference where some participants were discussing the question whether AR, VR and AI is “too hot”? Should I pay any attention to what others are doing? Is this “noise” in the market, or is this useful signal? Having seen the ups and downs of a very dramatic investment cycle that started in the mid-2000s to the mid-2010s, the question is something I think about often. This is what I’ve learned in answer so far. I am a long-term investor – ups and downs are to be expected. It is my job to make investment decisions based on an understanding that there will be ups and downs after I invest and throughout my “holding period”. It is important for me to understand the cycle but to then work with it and proactively manage it, rather than be too reactive. Being a long-term investor in a new industry or a disruptive change with lots of uncertainties is almost like being an entrepreneur – know that it could be a roller-coaster and hold on tight during the swings! (We wrote about the need for a “平常心” earlier in our “Great founding teams” post). At the same time, knowing the type of investor I am is itself important. Investing is a craft – the skills required takes time to perfect and in many ways we learn from mistakes and failures. Just as we learned how to bike by falling many times first. There are lots of investors in various stages of this process. I expect mistakes and I think in terms of probabilities, of things I can influence (and others I can’t), and doing what I can to increase my probabilities. Investors who do not develop good skills or perfect their craft will eventually get eliminated, but this “winnowing” process takes time as the “results” are affected by luck and take time to emerge / properly quantify. It is important to find a process of assessing the successes and failures and develop an investment process that takes those into account (e.g. having the honesty to attribute success to luck and a favourable environment, while attributing success achieved in a difficult market environment to skill, etc) while always being open to new opportunities, new insights and new ways of looking at things. Learning through iteration is key. A bit like sports, we can work to reduce mistakes …. The process of iteration involves dispassionately assessing successes and failures and finding the lessons from both even when there are “uncontrollable” (and sometimes unknowable) factors at play (e.g. luck). This point was made succinctly by Michael Mauboussin, the well-regarded former Chief Investment Strategist of Legg Mason, in his “The success equation: untangling skill and luck in business, sports and investing” where he highlighted how we need to know the role played by luck (versus skill) in the different activities we are engaged in: “Where little luck is involved in an activity, deliberate practice is essential to developing skill”, he wrote, and importantly, “Where luck is rampant, we must think of skill in terms of a process, because the results don’t provide clear feedback”. That is why we investors have a “method” and “process” that we at least here hope represent good if not best practice. Following the method does not guarantee success, but overall, in the long run, it helps us do better than average. (Here is an interesting interview of Michael Mauboussin by Steve Forbes). 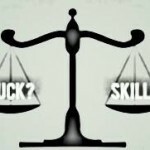 If one takes concrete steps toward attempting to measure the relative contributions of luck and skill, one would make better decisions than people who think improperly about those issues or who don’t think about them at all. That will give you an enormous advantage over them. Indeed, statisticians who are serious about their craft are acutely aware of the limitations of analysis: knowing what you can know and knowing what you can’t know are both essential ingredients of deciding well. Not everything that matters can be measured, and not everything that can be measured matters. Many of us are poor statisticians. Nassim Taleb gave many examples of this in his “Fooled by Randomness”, including medical doctors thinking the probability of a “positive” test being a true positive (rather than a false positive) is 95% when the correct answer is 2%, the financial press constantly attributing causes to insignificant events, and a 2% move in the markets being not twice as significant an event as a 1% move (the “non-linearity” of probability). Finally, the “financial economy” – i.e. the markets – does eventually affect the real economy. The reality is that the “hotness” or “coldness” of a sector can affect whether a company can raise capital when they need it. Finally, not only is it important to know my own strengths and weaknesses as an investor and my tendencies as well as the limits of my experience, but for those of us managing other people’s money, I also need to know the type of investor my investors are, because then I would be better able to manage around the ups and downs of market sentiments and explain to them what I am doing and why I am doing that. Important to communicate and align …. It is, in other words, both an art and a science. In many ways, entrepreneurs and their investors also need to do that – good communication and mutual understanding helps alignment and problem-solving when the ups and downs happen. The Power of the Power Law, “super-stars”, and moving the returns curve “to the right”! 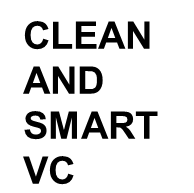 Enter your email address to receive our "clean and smart VC" posts by email. Copyright © 2019 . All Rights Reserved. No rights of any kind are licensed, assigned or shall otherwise pass to any person accessing this information.